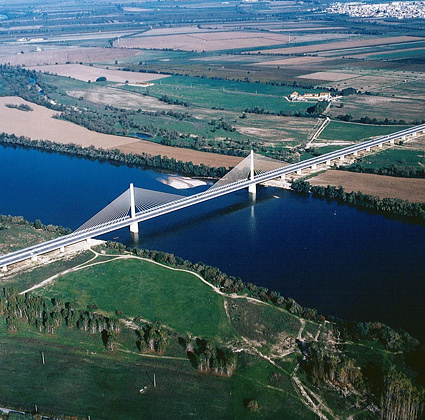 Globalvia is an engineering Portuguese consulting company that was set up in 1995, and that specialises in the development of transport engineering projects, as well as structures. Through continuing development since its set up, Globalvia is today a reference in the market. Globalvia philosophy is to offer its clients integrated and efficient solutions concerning engineering challenges, always keeping in mind financial, organisational and environmental aspects of the solutions proposed. Globalvia offers its clients a broad range of products that goes from feasibility studies, base projects, detail design studies, coordination services and technical assistance to construction. Globalvia also develops improvement and enlargement studies for existing road infrastructure. After having made a name for itself in terms of the domestic market, Globalvia is at present aiming to expand its activities into the international markets. Since 2004, Globalvia has its own Quality System, certified by APCER, the Portuguese Certification Entity, in accordance with ISO 9001 Rule. As its main objective, within its Quality Policies, Globalvia defined excellence in the services rendered to clients, using as a way to assure that the procedures established by and with all staff.